“the worlde in England waxeth all crokyd, godd’s law is turnyd upsedowne” . Geoffrey had also warned Reginald that assassins had been sent to kill him. The messages that Holland brought back from Reginald were remembrances to his mother and brother, the confirmation that he already knew about the assassination attempts and the observation that, despite Henry VIII's efforts to make him unwelcome in France, he was treated there very well. According to Holland, that was the sum total – no messages of treason or incitement to rebellion. There was one rather more compromising message from Reginald's colleague, Michael Throckmorton, to Montague, which bade Montague to "stir not" until Throckmorton was back. Holland, however, had not delivered this message, as he believed Montague would have immediately reported the message to Cromwell.Holland repeated that, despite Geoffrey's desire to be taken to join Reginald, Holland had refused to do so, and, on telling Montague of Geoffrey's request, had been warned not to accede to it. 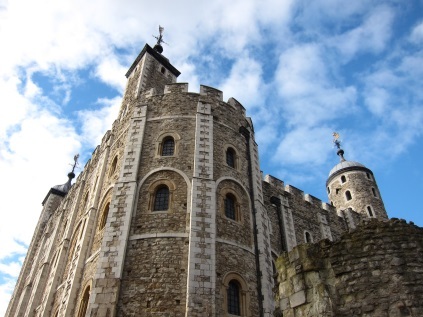 There was enough in Holland's evidence to justify the arrest of Geoffrey Pole, and accordingly, on 29 th August 1538, he was arrested and taken to the Tower of London, where he remained, awaiting questioning.